Click here to read our recent choice by Vogue France as one of the best three exercise studios in Paris!! Click here to watch Erin & Jo teach quick Pilates/Yoga 2 minute workouts requested for Femme Actuelle magazine. 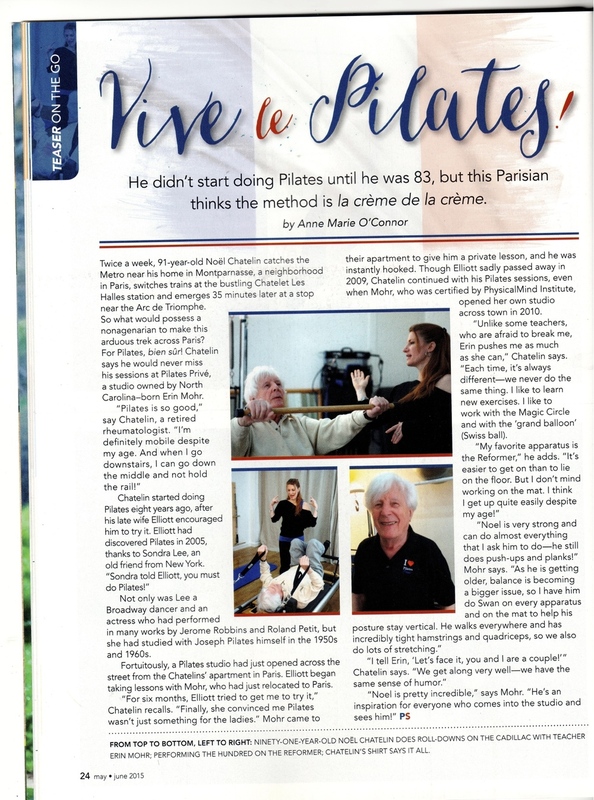 Click here to read the amazing Brett Miller's article in Pilates Intel on his time at Pilates Privé. Click here to read Erin Mohr's short piece on "The Best Advice Ever" article in Pilates Style magazine. 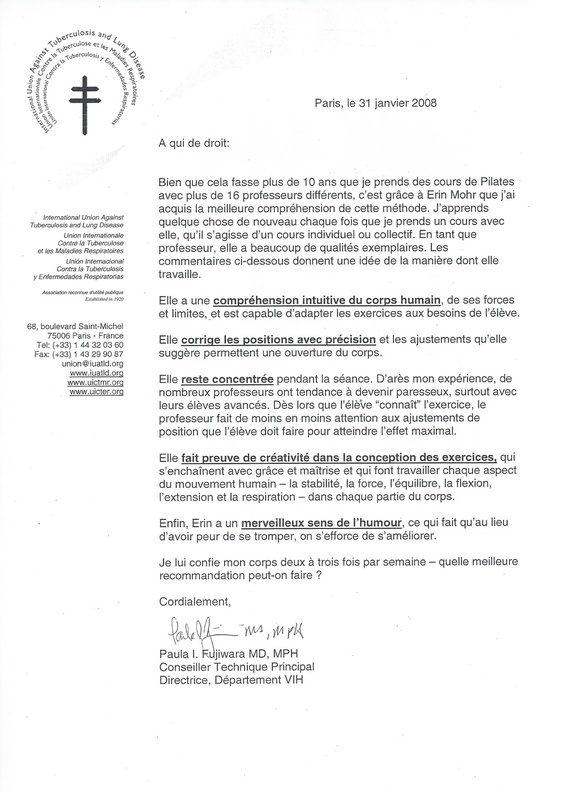 Click here to read the world traveling Pilates fan Rose Marie Burke's piece on her discovery of Pilates Privé.